Perth, Aug 12, 2011 (Global Fashion Wire) - The Third International Conference of Fashion Incubators will be held at the Parmelia Hilton in Perth from the 11th until the 13th of September 2011. Mike Todd, Founder of Two Deck, helps steer and develop dynamic business partnerships with tight bonds, which drive brand values, generate sales growth and create thriving companies. 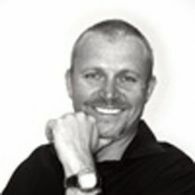 Conference Convenor, Carol Hanlon said "We are excited that Mike Todd the founder of Two Deck will be addressing the 3rd International Conference of Fashion Incubators in Perth in September 2011. Mike will address the conference on the challenges of going International and expanding your business beyond the territory of a locally developed market." Mike Todd started his professional life by embarking upon the adventure of becoming a submariner. Since then he has helped to steer many multi-national companies and brands to the success and international recognition, and his global positions have taken him across the world to experience firsthand the practices, pitfalls and possibilities of the international markets. Two Deck offer a full range of brand, distribution and people related consulting services.